2 staff to ice drinks and set up the bar area prior to function commencing. Kitchen and waiting staff for 6 hours from guests arrival eg. Guests arrive at 6pm, staff hours included until 12 Midnight; Guests arrive at 5.30pm, staff hours included until 11.30pm. 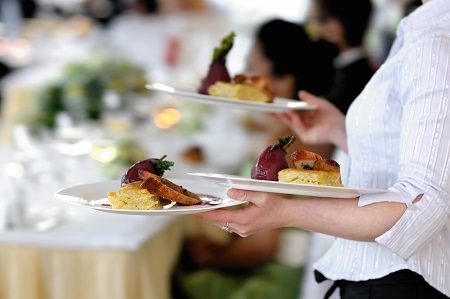 For any staff required to set up prior to the wedding, an hourly charge applies as above. This includes early staff arrival for weddings which are on site.